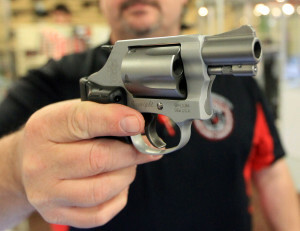 A Republican state lawmaker wants to allow concealed carry permit holders to have a guns with them in private schools. The bill from state Representative Jesse Kremer of Kewaskum comes just days after a shooting at a Florida high school that killed 17 people. The proposal would make it legal to carry a gun at private, religious or tribal schools – if a person has a concealed carry license and the school has a policy allowing it. In a column posted on Right Wisconsin, Kremer argues gun-free school zones only increase the danger faced by children and teachers, and allowing teachers or parents to be armed may discourage an attack. “If this additional, untapped tool can be utilized to discourage a school attack or to disarm an attacker, then why are your elected officials preventing its use,” he asks. The bill is unlikely to see any movement in the Legislature this session. Kremer set a Friday deadline for co-sponsor to sign on. That’s a day after the Assembly is expected to wrap up its work for the session.